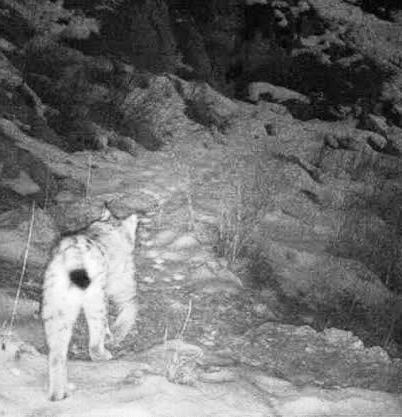 Rare footage of the elusive Caucasian Lynx has been released by Foundation for the Preservation of Wildlife and Cultural Assets (FPWC), the Armenian conservation partner of World Land Trust (WLT). Filmed by a remote camera in broad day light, the footage shows the lynx looking straight into the camera as it saunters past. 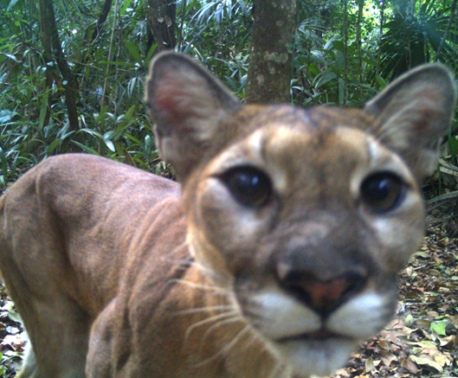 FPWC’s trail cams have recorded the species before, but not until now has a film captured such detailed images. On releasing the footage, FPWC issued a statement to underline the significance of the recording. “Like most wild cats, the lynx is a very elusive species, avoiding any unknown objects, making it exceptionally difficult to monitor them with trap cameras. The presence of the Caucasian Lynx in the Caucasian Wildlife Reserve has been confirmed through previously recorded videos. 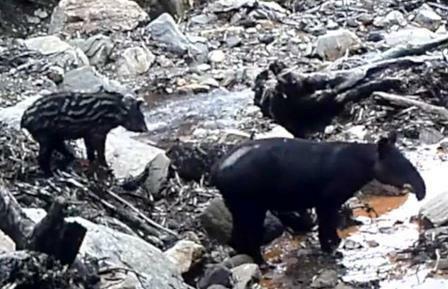 However, this is the first full view footage of the animal, showing the results of successful trap camera monitoring in the refuge,” said FPWC. The film below shows the actual recording followed by the same recording in slow motion. Native to Armenia, the Caucasian Lynx (Lynx lynx dinniki) is by size the third largest predator in Europe and one of the largest sub species of lynx. Known to prey on herbivorous ungulates much larger than itself, such as Red Deer (Cervus elaphus), the Caucasian Lynx commonly feeds on smaller animals like hares and rabbits. FPWC regularly sends copies of images recorded on remote cameras in the CWR. The image of a lynx (above right) was captured at the end of December 2014. In recent years camera traps in the CWR have been successful in catching footage of threatened mammals including Caucasian Leopard and Syrian Brown Bears. The footage of the lynx was recorded in December 2014. You can help protect more rare species like Caucasian Lynx by donating to WLT’s Keepers of the Wild programme.